If you self-publish a book, how many copies should you expect to sell? To me, this number is much higher than many of the popular numbers floating around. I will try to explain why I believe this. The most popular estimate to throw around may be 100 books. Not per month. Not per year. Ever. Other popular estimates are somewhere between 300 and 700. I believe that any committed author should expect to sell much more than this in the long run, and I also believe that most committed authors either do or will. There are many ways to estimate the average number of books that an indie author sells by analyzing data that’s available. You could study Amazon sales ranks, both Kindle and print. Sales rank interpretation, though, isn’t quite as easy as it seems. There are seasonal effects; as the number of books grows, books with higher sales ranks sell more frequently than they used to; Amazon often changes the algorithm, etc. Still, this can give you a general estimate that will be in the ballpark. Then there comes the issue of which books are indie books? There are various ways to do this, such as that used for the Author Earnings Report. But those are just Amazon sales. 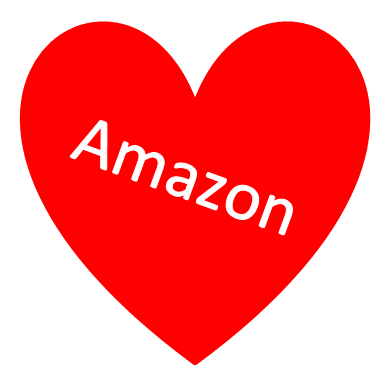 Many authors are getting sales from Nook, Kobo, Smashwords, and other online retailers. Many are selling in bookstores. Others sell effectively in person, such as at conferences, readings, signings, etc. These numbers are significant, especially for the many indie authors who effectively market their books through other sales channels. So the first thing to realize is that there are hidden sales that many of the estimates don’t consider. There are other ways to go about estimating indie book sales, but no matter what, it’s hard to account for direct sales, which are significant for some authors, so there will always be hidden numbers. The hidden sales aren’t what I wish to focus on, however. How many copies will the average self-published book sell? Think of it this way. Suppose your dream is to be a professional baseball player, and you’re motivated to work so hard that you’ll settle for nothing less than the major leagues. Do you want to know what the average professional baseball player makes, including minor leaguers? Or do you want to know what the average major league player makes? If you remove all those books from the ‘average,’ I believe that you’ll find that the average indie author makes MUCH more than $1000. If you want to look at the cream of the crop, if you want to confine yourself to Amazon, for example, you should be looking at author ranks of about 10,000 or less. I’ll return to this figure later. There is yet another important point to consider. Most successful self-published authors write several books. So if you want to know what an indie author makes, that’s far different from looking at what a typical indie book makes. First of all, authors who write several similar books sell many more copies of each book than authors who just publish one book. Then, whatever they make per book, multiply that by the total number of books, which may be 5 or 10, but is often 20, 30, 50, or more. This opens the door for many authors who only make $500 per book. Publish 20 books and you make $10,000. Plus, every book you publish helps generate sales for your other books. Multi-book authors tend to do more effective marketing. It’s simple, really. Whatever marketing they do has the potential to bring dozens of sales from a single customer, instead of just one. Series authors have a marketing advantage, too. In May of 2014, an author rank fluctuating between 5,000 and 10,000 would have sold 1,000 or more books for that month. I know this from author ranks that I’ve studied firsthand, and I’ve also discussed this figure with other successful authors. On top of this, there are several authors with mild success writing in two or more names (using pen names). 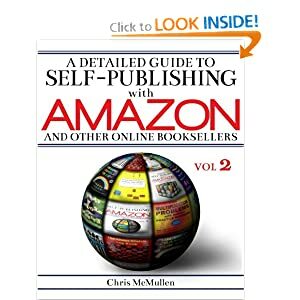 So, for example, an author can have two or more author names with an author rank of 20,000 or better, and may still be selling 1,000 books per month. At a modest $2 royalty, which many indie authors make, you only need to sell 500 books to make $1,000 per month, which is $10,000 per year if you can do it consistently. Personally, I think all committed authors should aim for an author rank of 10,000 or less—not just to get there, but to sustain it long-term. Let me stress the long-term part. It could be several years down the line. I’ll give you another goal to work on first, in the next section. Of course, the number of published books and authors is growing rapidly. Not too far in the distant future, an author rank of 20,000 or higher will yield sales of 1,000 or more books per month. As the number of books grows, it’s worth adjusting one’s aim to 20,000 or more, as appropriate. Most authors aren’t going to achieve success right off the bat, and even those who do struggle to maintain that success. The way to sell 1,000 books per month is to first sell 100 books per month. Set attainable goals first, then increase these goals when you reach them. After 100 per month, aim for 200 per month, then 500 per month, and then you can finally aim for 1,000 per month. It takes time, thought, research, inspiration, and some talent to produce quality content. One book usually isn’t enough in modern times. It takes a great deal of time to produce a half dozen or more quality, marketable products. It takes time to develop a professional online platform. It takes time to learn effective marketing strategies. And the marketing tends to be more effective when you have more books worth marketing. Think 100 books when you start out. No, don’t expect this in Month 1. It might take a year, or a few years. But keep working to get to 100 books per month. Then you can start thinking about higher goals. It may take many years to reach long-term success. Think long-term, as it’s within your reach. If you expect immediate results, you’re likely to be one of the many authors who get discouraged and give up prematurely. At the same time, you need to get good evaluations of your writing style and storytelling, and you need to research what makes a book marketable. Not every book sells, so if you want to be a successful author, you need to ensure that you’re writing books with good long-term potential. People like to throw out small numbers for how well the average indie book sells. As I mentioned, I believe the average committed indie author makes much more than this figure. But the truth is that the average traditionally published book doesn’t sell much either. You’d hope to easily sell 10,000. You dream about 50,000, 100,000, or 1,000,000. But very many don’t sell 1,000. Just being traditionally published doesn’t make the book marketable or in-demand. However, we could similarly throw out the lowest-selling traditionally published books for various reasons, just as I did for indie books. If you have a large following or great marketing plans—perhaps a killer publicist who will surely book major league interviews and land great reviews—then you wouldn’t compare yourself to the average traditionally published author. The biggest-name traditionally published books do sell with amazing sales frequencies. Indie books do take up a large share of the market, especially among e-books, but for the top authors, traditional publishing offers great bookstore potential, and also reaches those customers who still prefer traditionally published books. Already famous, surely much of their fan base would still support them. They can safely invest in professional editing, formatting, and cover design, so these really aren’t issues. They are more likely to get a return on reasonable marketing expenses, too. They can earn upwards of 70% royalties, rather than settling for 10 to 15%. They can price their books lower than many traditional publishers would allow, which may actually improve both sales and royalties, and also allows them to reach a wider audience. Now let me ask you this. Suppose you’re one of the most famous authors on the planet and you choose to self-publish. Are bookstores really going to close their doors to you and force your customers to buy online instead? In fact, a few prominent traditionally published authors have made the switch. Some authors also self-publish in pen names in addition to publishing traditionally. Perhaps they write more books than traditional publishers can accommodate. Or perhaps they want to prove to themselves that they could make it as indie authors, too. I believe that many of the big-name authors from the past who succeeded as traditionally published authors could also thrive in today’s market as indie authors if they had been writers in today’s world instead. Not all would, of course, but those with a unique style and those who could really dazzle readers, wouldn’t they also thrive in today’s world, even as indie authors? Perhaps not all of the classics, especially literary works, but think about the more accessible reads, master storytellers (not literary wonders) that anyone can appreciate. I believe if they were really committed to indie publishing, they would thrive. And even if the book description was perfect, external factors may prompt a revision. For example, a slight change can sometimes offset a potentially harmful review (we’ll return to this point later). I fight my book descriptions all the time, and I recommend that you do the same (except when sales are fine, of course—wait for one of those inevitable valleys to experiment). Implicitly reveal the genre or subject. This should reinforce the message conveyed through the title and visually by the cover. Entice the reader to look inside. Think about it: You really DON’T want the shopper to read your blurb. You want the shopper to read your book, NOT your blurb. The blurb’s job is to make the shopper read the book. If the customer stops reading your blurb to look inside the book, even better. Because the longer the customer spends reading your blurb, the more likely the customer will find some aspect of the blurb that he or she doesn’t like, and the more likely the impulse to buy will wear off. This is why many highly effective blurbs are very CONCISE. There is more to do than just be concise. The blurb must also arouse the buyer’s CURIOSITY. Otherwise, the buyer finishes reading the blurb, but doesn’t feel interested in the story. That’s why a blurb isn’t a summary. A summary gives the story away. There is NO curiosity in a summary. An effective blurb doesn’t give answers, it creates questions. The questions may be implicit, but it’s those unanswered questions that may make a reader want to read more. Be concise. Did you say anything that was unnecessary? Arouse curiosity. Did you give anything away? Does it read like a summary? Genre. If strangers can’t read the blurb and guess the precise sub-genre or have some idea as to the content, your blurb has miserably and utterly failed to be an effective sales tool. Engage. You need to draw interest immediately; most customers won’t be patient and let you build things up (true of your Look Inside, too). Come out swinging with your best stuff, but also pack enough punches so that you can engage interest throughout. When you run out of punches, stop writing your blurb. Flow. Check that it flows well. A hiccup, such as when a reader has to stop and figure out how to correctly parse a long idea, is like stumbling on your way to the cash register. Spellcheck, aisle three. If you can’t get the spelling and grammar right in a hundred words or so… Look, it’s not an option. You have to get it right. Vocabulary. It needs to match your target audience. Words they don’t understand can scare them away (but if such words are common in the prose, you also don’t want to create false expectations). Research. Do your homework. Check out blurbs of successful books similar to yours. Feedback. Ask for opinions on your blurb. Before you publish, this can help you generate buzz. There are different kinds of nonfiction books. Do you have a memoir or any other kind of nonfiction book that customers will read for entertainment? If so, you should follow the FICTION BLURB TIPS. You want a concise book description that arouses curiosity. Do you have a nonfiction book that provides handy information? If so, then your book description will be different from a fiction blurb. In this case, you want to show customers what information is in your book. The sale may very well depend on customers developing confidence that your book will answer a very specific question. Therefore, a nonfiction book description may be long, yet still be effective. The trick is to break a long nonfiction book description up into paragraphs—or even better, use bullets to highlight important points. You can create paragraph breaks, bullet points, boldface, and italics through Author Central, for example. If so, be sure to copy your description and save it on your computer. If you republish your Kindle e-book (e.g. to change your list price or category), check your Amazon blurb afterward—presently, the KDP description overrides the Author Central description. Think about what information your book has that customers are likely to be searching for. You want to make this clear in your book description. So it may also be relevant to mention relevant expertise and experience in your blurb. However, you probably also have a biography on your Amazon product page. You don’t want to be repetitive, but it may be worth mentioning key points from your resume in your blurb—as not every customer will read your biography. The way to show that you can communicate clearly is to have a well-written, clear blurb (followed up by a well-written, clear Look Inside). Be concise OR break up a long blurb into paragraphs with bullet points. Still, don’t say anything that’s unnecessary. Inform. Make it clear what information will be found in your book. If they aren’t sure that your book will answer their questions, they either (A) won’t buy or (B) will be quite frustrated if they don’t get their questions answered (leading to returns or bad reviews). Subject. If strangers can’t read the blurb and guess the precise subject or have some idea as to the content, your blurb has miserably and utterly failed to be an effective sales tool. Expertise. Briefly mention relevant expertise and experience (you can put more detail in your biography, if necessary). Communication. Show, by example, in your book description, that you can communicate ideas effectively. The jargon used—and how you use it—needs to be a good fit for your specific target audience. Recommendations. You can seek editorial reviews from other experts in the field, or quotes from relevant media, and insert these in the Editorial Reviews section through Author Central. First of all, if your book is selling regularly, wait for a sales valley before you experiment with your blurb. The last thing you want to do is inadvertently hurt your sales. Most blurbs are long enough that only the first part of the description appears on the Amazon product page, followed by a Read More link. Customers are quite reluctant to click that Read More link. Therefore, you want to make sure that your most effective points—i.e. what will arouse curiosity and make the customer look inside?—appear before the Read More link. If they don’t, move things around. I recently added a note to four of my books, indicating that the cover had been updated. When I checked the Amazon product pages later, I discovered that another important point had been pushed beyond the Read More link. So I moved the cover update note further down, as it was less important than the other points. If your book isn’t selling, it’s probably the cover, blurb, Look Inside, or book idea. The blurb is the easiest of these to experiment with. Almost all product pages do get discovered at Amazon (though, obviously, some much more frequently than others). The blurb and Look Inside are the only salespeople on the product page. They make or break the sale (of course, customer and editorial reviews also have some sway). So if your book is hardly selling, it could be because most customers checking our your product page aren’t sold on the book from reading the blurb. It’s really hard to perfect the blurb. Some trial and error can help you gauge which parts of the blurb seem to be working. Search engine optimization is impacted by activity on the webpage (that’s an advantage of having a blog or discussion forum on a website). During a sales valley, a change-up might help a little with Google or even Amazon. During a sales valley, it doesn’t hurt to try. It may be worth announcing a book update. Occasionally, a revision to the blurb can help to offset a potentially harmful review. It’s unreasonable to expect instant results. Also, there are other factors affecting your sales (like falling off the 90-day new releases list), many of which you may not even know about (like changes in customers-also-bought lists). Waiting a couple of weeks is more likely to give you useful data than waiting a day or two. Most likely, it won’t hurt your sales. They can help by adding balance. They definitely increase your review tally. It’s irrational to expect every bad review to hurt your sales. In fact, every hot seller has many bad reviews (and also many good ones). Think about this. Don’t do anything immediate. Give it a week or two to truly see if the review seems to be making a significant impact. If it’s not hurting sales, definitely the best advice is to IGNORE it. Don’t comment on the review. There are too many things that can go WAY WRONG, with very little chance of your comment helping in any way. The majority of customers seem to view comments by the author as unprofessional, so most likely the comment will deter sales even more. Occasionally, however, a critical review does adversely affect sales. In this case, first wait two weeks to cool down and to get more valuable data (you have to wait to find out what effect, if any, that review might have). This also gives the reviewer a chance to cool down, perhaps even forget about your book. Sometimes, if a review is having an adverse impact on sales, it’s possible to make a revision to the book’s blurb that will offset the review’s effectiveness. New customers read your description. New customers read that bad review. New customers think, “This doesn’t seem to be an issue now.” New customers disregard that bad review. A customer left a bad review that requests a new feature, like a glossary. You might decide that a glossary really isn’t a good fit for your book, or that most customers won’t care about a glossary. If so, don’t change anything. But if it appears that a glossary (or whatever other feature) is, in fact, in demand, you could add this feature and include a note in your product description. Then that bad review helps you, rather than hurts you. 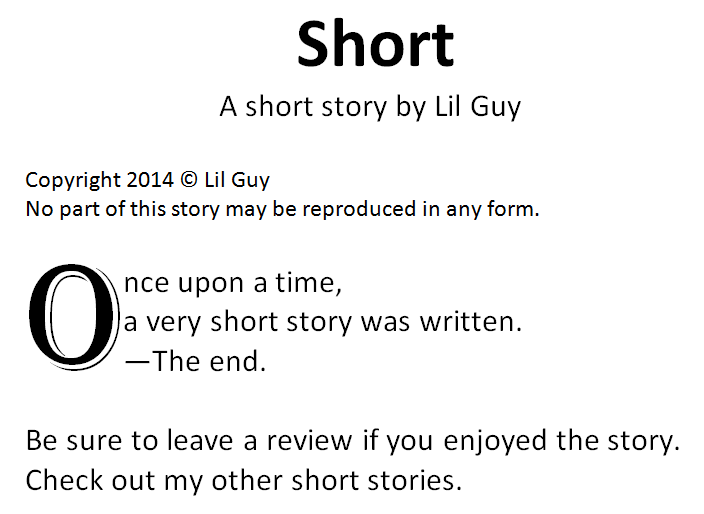 DON’T revise your description based on EVERY bad review you receive. The vast majority aren’t worth addressing. DON’T make it seem like your description was revised in response to the review. DO revise your description in such a way that it still appears to have a very natural progression. Sometimes, it’s better to do NOTHING at all. If the review isn’t nearly as bad as you think it is, i.e. it wouldn’t sway opinion as much as you fear, then it may actually be a MISTAKE to give the reviewer CREDIBILITY by changing your description to address the review. For example, suppose you wrote a book for teenagers and a review says that many of the expressions used are outdated. Mentioning in the blurb that the book was updated to make the expressions appear more modern may actually be a mistake in this case, as it makes the reviewer’s comment appear valid. Whether or not they are dated is a matter of opinion, which could be checked by examining the Look Inside. Chances are that such a review wouldn’t impact sales, but revising the book description to address a harmless review could have an adverse effect. Who has a Halloween Book? 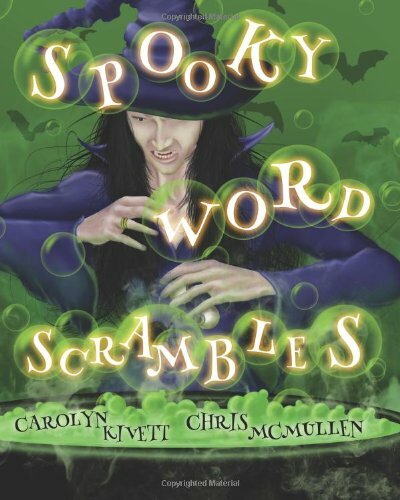 As you may know, I have a Halloween word scramble book (Spooky Word Scrambles) with a cover designed by Melissa Stevens. While I have a series of word scramble books, I only have one Halloween book. It’s much easier to promote a series of similar books than it is to promote a single book. So I have two choices if I wish to promote this book: I could promote the series, or I could promote a bunch of Halloween books, including mine. The advantage of promoting a bunch of Halloween books, instead of a series where only one relates to Halloween, is that it would be much more suitable for the holidays. I’m not quite sure what I intend in the way of promotions, but (usually) anything is better than nothing. Know any authors of a Halloween-related book? Please let them know. So you found a muse. Good for you. But one’s not enough. Sad, but true! Writing’s not the only storm you’ll weather. But editing is a different beast. ‘Til a new muse makes this worry your least. A poor cover won’t sell your book. To help achieve just the right look. But you will still need yet another ruse. This requires a muse of another kind. So important to find the perfect verb. Without this muse you’d be in a bad bind. Not one of these muses will help. No fun! Muse five joins the publishing ride. Your book’s design’s now beautifully done. You lack the most important muse of all. Marketing muse helps you get heard. Without her help your sales would surely stall. You’ve one more problem to solve yet. You can never find two in the same place. 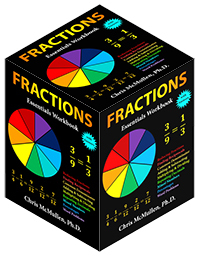 I wish to write some posts about math or science concepts, yet I wish to separate them from my self-publishing posts. 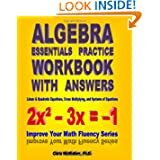 Therefore, I now have a new math blog at http://improveyourmathfluency.com. Don’t worry: I will definitely keep this self-publishing blog active, and will continue to post about self-publishing topics, as usual. 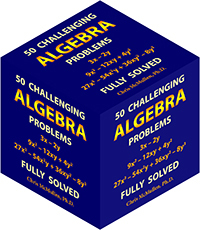 If you have any interest in math, please consider checking out my new math blog. As you can see, my new math blog is feeling somewhat lonely. It would appreciate any form of a welcome at all. But, if you’re not interested in math, I don’t expect you to run over there. 🙂 Hopefully, though, you’ll continue following my self-publishing blog right here. It’s not quite a new math blog. I originally had it at Blogger, until Blogger’s reader was phased out. My experience at WordPress has been amazing (thank you, everyone, for your hand in this), so it seemed quite natural to move my math blog over here. By the way, artist Melissa Stevens designed the header for my math blog. 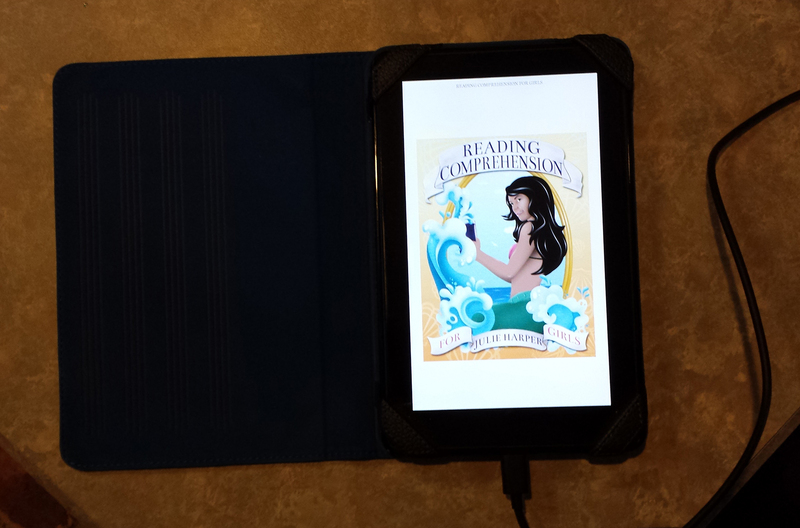 As you can see in the preview, I sideloaded Julie Harper‘s new book, Reading Comprehension for Girls (she will be releasing it in a couple of weeks) onto my Kindle Fire to help check the formatting. When you proceed to publish your e-book at Kindle Direct Publishing (KDP), you should preview your Kindle e-book carefully on each device on the online previewer and (the said-to-be-more-reliable) downloadable previewer. Even better, download the .mobi file onto your computer and then transfer it to one or more actual devices (I’ve heard that formatting may change if the file is emailed, so it may be best to have a micro-USB cable handy). Visit your KDP bookshelf and click Edit Book Details. Scroll down to the bottom of the page. Click Download Book Preview File. Save the .mobi file to your computer. Note the file location (default may be a Downloads folder). Open the folder containing the .mobi file. For devices that you don’t have, click the Windows or Mac link (as appropriate) from where you just downloaded the .mobi file in order to install the downloadable previewer. Note the location on your computer where the downloadable previewer is installed. Now you can open the .mobi file with the downloadable previewer (there are many ways to do this, such as opening the downloadable previewer and dragging the file into it). The key is to keep track of where you installed the previewer and where you saved your .mobi file so that you can easily find each. Connect your Kindle device to your computer using a micro-USB cable (unfortunately, some devices, such as the Kindle Fire, don’t come with this cable; but you may have one if you have an Android phone, for example). It works just like connecting a jump drive. You should be able to find your Kindle drive in the folder called My Computer, the same way that you’d find a jump drive if you connected one. Open the folder for your Kindle drive. For some Kindle devices, like the Paperwhite, you should recognize e-books that you have on the device. This is the folder you should have open, unless you have a Kindle Fire (see the next step). For other devices, like the Kindle Fire, you either need to open the Documents folder—NOT the Books folder (unless you used a program like Calibre to remove the Personal Doc Tag from the file). This is important: The intuitive thing is to paste the .mobi file into the Books folder, but that won’t work (unless you removed the PDOC tag). You should now have two folders open. One folder contains the .mobi file that you downloaded from KDP. The other folder is either your Kindle drive containing the Kindle e-books of your device OR it’s a subfolder in the Kindle drive called Documents (not the My Documents folder on your computer, of course) if you have a Kindle Fire. In the case of the Kindle Fire, you WON’T recognize your e-books in the Documents folder (but you will probably see the Kindle Fire User’s Guide in the Documents folder). Copy the .mobi file from the one folder and paste the .mobi file into the appropriate folder for your Kindle drive. 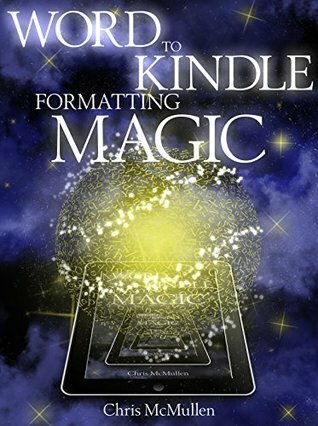 Properly disconnect your Kindle device from your computer (the same way that you disconnect an ordinary jump drive, or there may be a Disconnect button on your Kindle device). Once you’ve disconnected the micro-USB cable, look for your .mobi file on your Kindle device. If you have a Kindle Fire, be sure to look in Docs, not in Books (unless you did the Calibre thing). If you press the Home button, you’ll see this list: Newsstand Books Music Video Docs Apps Web. Click Docs. Your .mobi file should be there. Open the .mobi file on the Kindle device. Preview it carefully. You need to preview your file carefully on every device (actual or through the downloadable previewer) since a file can look perfect on one device, but have serious formatting issues on a different device. Oh, How I LOVE Thee, AMAZON. Let me count the ways. When we first met, you were still young, yet already so grand. More books than I’d ever seen in any bookstore. Yet it wasn’t just the size that impressed me. Or that you were accessible and easy to get. And, mostly, the way you treated me, even after the sale. I could buy used copies for as little as a penny. Even my used textbooks, and for great prices. You did things for me that no other bookstore ever could. Like I wasn’t just another customer. You had me at the first one-click. Proposing your love to me. Pinch. What? It isn’t a dream? We went to CreateSpace on our honeymoon. It was more than I’d ever dreamed of. Then you brought me to Kindle Direct Publishing. It was over the top. But you saw my potential. Didn’t want a query letter or book proposal. Heck, you proposed to me! I could publish with you for free. It really was a dream come true. ISBN, ASIN, UPC, bar code. You let me set my own list price. Then you paid royalties higher than my wildest dreams! Even more, you brought me customers. And my very own author page. And followed it up with a phone call. You wanted to talk to little ole me. You cared about what I had to say. But they could never love me like you have. You repeatedly come up with new ways to arouse my interest. 70% royalties, improved reports, and now even preorders. Amazon, you’re the best thing that ever happened to me. I can’t bear to give it another thought.